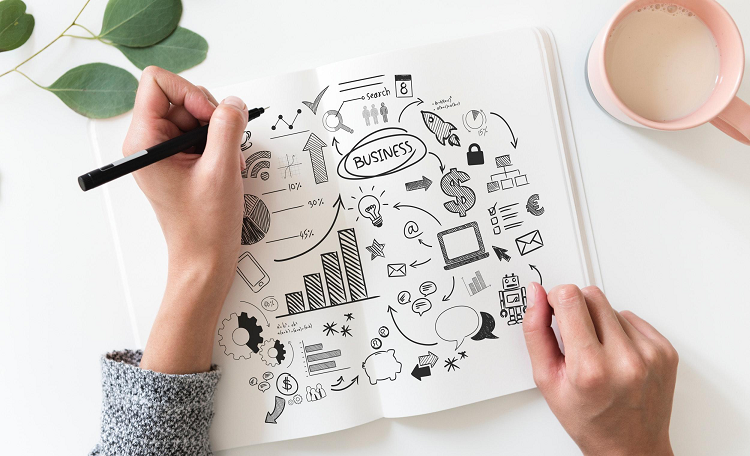 When it comes to marketing strategies for small businesses and startups there are no magic tricks involved, just a well-established marketing plan, precise customer targeting along with efficiently used advertising channels. Marketing can be a powerful tool for promoting a business, but it is, at the same time, not as easy as most of the young managers believe. The standing proof for this statement is the poor marketing stated among the most common reasons for 14% of failing startups. 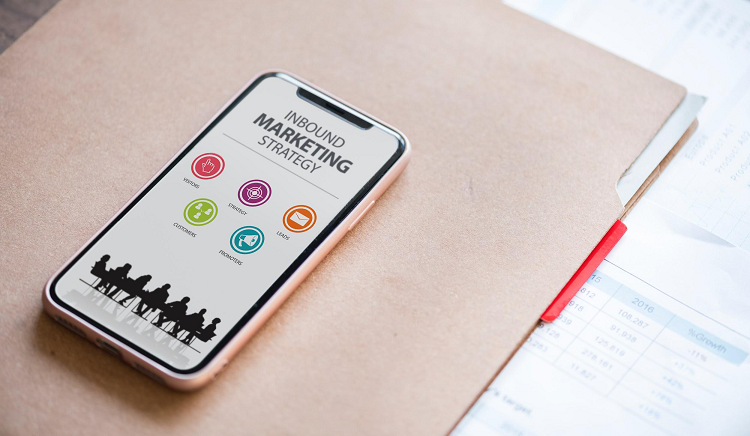 Since being “online” is not enough and sharing content on social networks or having a website does not necessarily translate into growing sales, here are 12 efficient marketing strategies meant to be an investment rather than a spending. Google comes in handy when it comes to advertising, offering a free and accessible tool for each entrepreneur. The tool makes your business details easily visible in search results, google maps, google plus, and is also effective in the Search Engine Optimization process. Nowadays, if you are not online, you risk losing the user’s trust as he may not see you as a credible business if your business information fairly appears on Google. Provide free tools for your audience. Who says “no” to free stuff? As long as you offer something useful, no one will reject free stuff. However, the trick here is to understand what the user is looking for, what it may come in handy for him, as the Internet is full of ebooks and ultimate guides that are left unopened in the Downloads folder. Therefore, coming up with a free tool meant to help the user in a certain way, like doing an SEO audit for their website or finding competitors keywords, might be more efficient than free ebooks and generate more potential customers. Exchange promotion with those who have the same target audience as you. This obviously does not refer at exchanging promotion with your competition. One way to shorten the attraction of new customers is through strategic partnerships with companies having the same target audience as yours. Companies with services/products complementary to the ones you sell are a potential partner, and such collaboration can benefit both businesses. Choose social media for lead generation. Social networks have a high activity that can be fully exploited for advertising your business and gaining prospects. Once you have decided on which platforms your targets spend most of their time, you shall move on to the lead generation process. This can be easily implemented as some of the social media platforms offer customizable lead generation ads. Whether you opt for Facebook Lead Ads, LinkedIn lead generation forms or Twitter cards, using social media for lead generation will provide a 32% cost efficiency in comparison to using Google for the same purposes. Other than that, using social media platforms for lead generation will boost the quality of the gathered leads. For more advanced targeting options you can opt to use Facebook Pixel, another marketing tool, part of your advertising account, which shall be installed on your website. You should use the social platform best fitting your business profile and targeted clients. If you do not possess the right expertise, in order to avoid transforming paid social media ads into a spending rather than an investment, you should opt to collaborate with specialized advertising agencies. Rely on SEO strategies for your website. With the fast-evolving technology, the nowadays startups and small businesses can easily research for keywords or implement an SEO audit for their website. Even if your knowledge is limited in this direction, you can easily manage efficient SEO strategies and find the right SEO keywords with the help of specially designed tools. Some entrepreneurs choose to buy a ready-made website to save some time and money. This involves a fully functional site with content, domain, SEO optimization, and a friendly UI already done. However, even though buying a website saves you of starting everything from scratch, after the acquisition the website shall be customized to fit your entire marketing strategy. Whether you choose to use blogging, share e-books, hold webinars or create infographics, the ground rule should follow the principle of sharing meaningful content. It is crucial to know the interests of the target group in order to generate content that will attract quality leads. Here are some efficient content marketing examples meant to give you a helping hand in finding content ideas that will boost your conversion rate. Optimize your strategies for new technologies. Mobile internet traffic represented 48.2% of total web traffic last year. The marketeers believe that this percentage will grow by the end of 2019, leaving behind businesses who do not optimize their web pages for mobile traffic. Therefore, if you do not want to fall back, optimize your online presence for mobile devices. Another increasingly popular trend, in terms of new technologies influencing the efficiency of actual marketing strategies, is represented by voice search. Statistics reveal that in the next two years voice search will represent 50% of all search queries. In order to gain a competitive advantage, small companies and startups shall optimize their content for voice search revolution. The video content is quickly becoming one of the most popular communication tools for audiences around the world. For 2019 you should embrace video marketing as a tool for social media advertising or even for your website as most people do not want to read a product page with 1,000 words, but they will be more willing to watch a 30-second video that shows them exactly what a product does. Promote your business on relevant forums. Popular forums like Quora and Reddit are a cost-efficient method to advertise your business or products. This method is practiced even by well-known brands like IKEA and Adam & Eve which frequently utilize Reddit to promote their products. To benefit from this advertising technique, you can simply create posts of great interest for the consumers in which you mention your website and business details at the end. Also, you may leave your website or links to your social media platforms in comments to significant posts. With the help of different incentives, encourage customers to give you recommendations. Make them visible and keep them in your portfolio. Voice of the customer is an important pillar to build trust among a community of users. A list of recommendations adds credibility to the brand making new users more willing to try the products or services. Do not forget to measure the results. Without measurement and analysis, goals and strategies are useless. If you cannot say for sure that you have achieved your goal, you are not ready to implement a new marketing strategy. Moreover, the analysis of the data obtained determine the weaknesses of the current strategy. The advantage of online marketing is that it’s much easier to measure almost anything. Free tools such as Google Analytics can easily provide valuable information to help you design the right marketing strategies for your business. There are plenty of marketing ideas and strategies that you can use to reach your marketing goals. The list above provides only a starting point. Marketing has enough ways to reach the audience that awaits you. But the easier it will be for the user to reach a brand, the more complicated it will be for the entrepreneur to find the right tools for advertising. Digital marketing is an environment that has known and experienced a fantastic evolution, offering huge opportunities for business. Being in continuous change, entrepreneurs must always be informed and open to embrace new tools in order to keep up.